Kataru's love and pursuit of Farming: Are you ready for budding? Well, our baby candycot orchard is..
Budding is like grafting but we only attach a small baby branch to the plant in the ground so less invasive and more delicate. 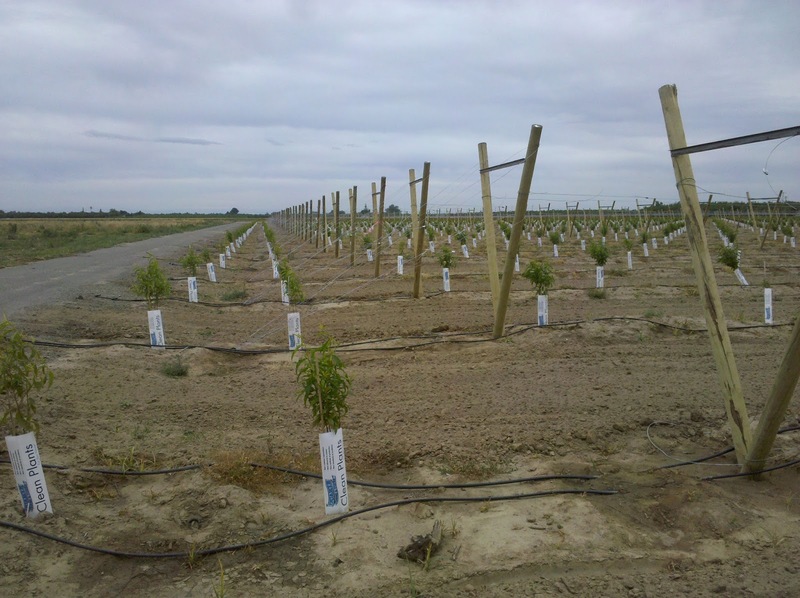 The rootstock have been growing nicely (see pics). We should be able to bud over to the Candycots sometime in June. The trellis system installation is labor intensive but moving along. Lane hired a young man to do the installation and he seems to have taken an interest in doing a good job. Derk VanKonynenberg has provided the specialized tools we need and came out early on to give some instruction. Derk has been available to answer questions and has been very helpful. 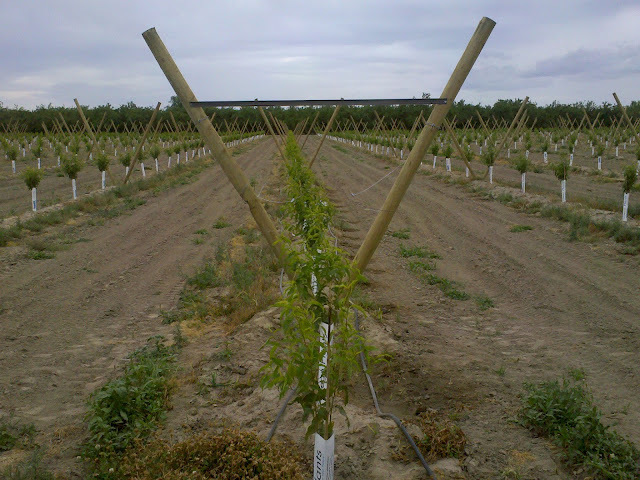 BTW, The V-shaped trellis structure helps us to train the trees to grow in such a way that all parts of tree get plenty of sunlight so leading to better fruit yields.